We took the day off and went to a movie at the new Providence Mall in Mt Juliet. The mall is a colossal project with all the big box stores as well as some smaller stores arranged in clusters. The largest Kroger store I have ever been in is there. 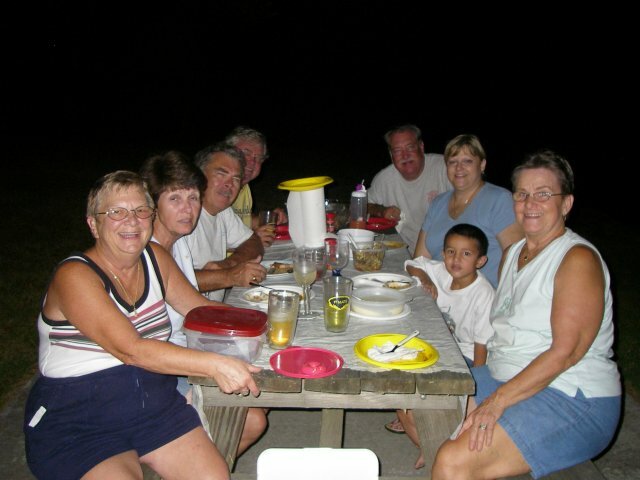 In the evening, it cooled off and we had a pot luck supper at the transient dock picnic table. (see photo). Names are withheld to protect the innocent.